<br />Thank you for taking the time to speak with us. We’ll start as we always do, could you tell us about yourself to those who don’t know you? <br />Thanks for having me! My real name is Paul Escalona, almost 50 years old and just married last month to my lovely, wonderful and always-supportive wife Jerri, so I'm a very happy guy. I started programming when I was 11 years old back in 1980, doing my best to squeeze 16k game programs into my TRS-80 Model I's whopping 4k of RAM and even usually succeeding. My day job now is being a Data Analyst working mostly in SQL, so I am actually a professional at this kind of thing. I'm one of those sick and twisted individuals who spends all day at work programming, then coming home and doing it a whole lot more without pay on nights and weekends. My doctor says I should get some exercise, but what does he know? <br /><br /><br />What games are you playing at the moment? <br />...you mean I could play a game instead of modding? Yes... yes, that sounds familiar. I think I used to do that, a loooong time ago... seriously, it's been a couple of years since I played anything beyond what's required to test my own mods and patches. I would actually like to get a full run of Fallout New Vegas in soon though, as I never actually quite got to the end of it back in the day. The game I'm keenest on playing next after that is Divinity 2 Original Sin. That looks pretty awesome. <br /><br /><br />Can you remember how you first ended up on Nexus Mods 9 years ago? <br />Fallout 3 mods. I think that was probably the only game I ever used mods beyond just fixpacks for (and the fixpacks I made myself, of course) until I started playing Skyrim Special Edition about 18 months ago. <br /><br /><br />It’s only recently you started uploading mods, what inspired you to transition from modder to mod author? 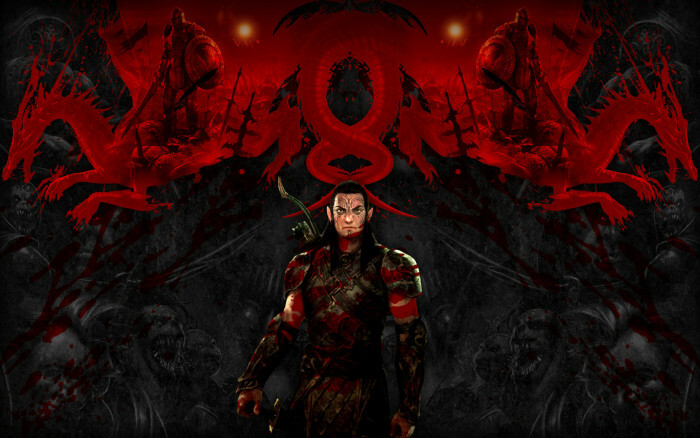 <br /><br />Around 2015, a game company called Beamdog, founded by modders, which had already re-released Enhanced Editions of all the other Infinity Engine games, bought the rights to my PS:T Fixpack from me and incorporated it into their re-release, Planescape Torment Enhanced Edition. So if you ever played that re-release of the game, you played with my work. 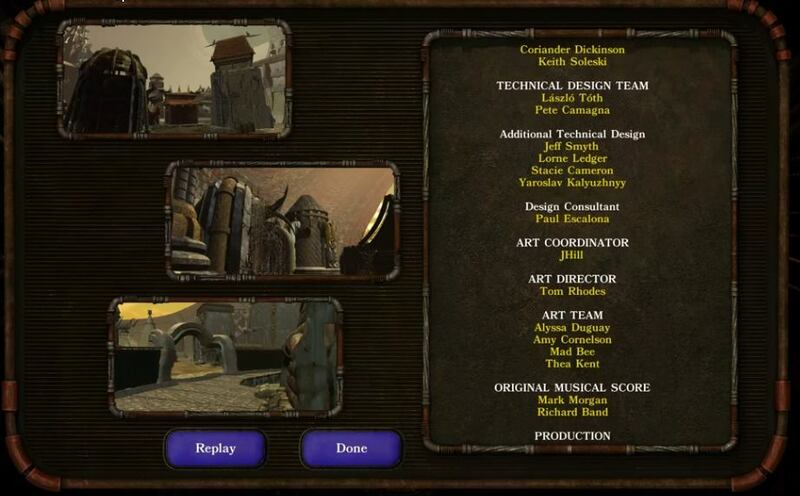 I am in the credits for it as "Design Consultant" (image below), which is all kinds of cool, I can at least claim an actual professional credit in the gaming industry. And I got paid just enough to put together this monster machine I'm typing on right now that I've been doing all my modding on ever since. I call it Mjolnir. <br /><br />Around 2011, though, life got busy again and I wound up dropping off the mod scene for a number of years. Then the PS:T thing with Beamdog happened in 2015. Then, January 4, 2017, I was just googling around and found posts on Nexus from October 2016 with people asking where they could find my old version 2.0. * I was so touched that I decided (after a 6-7 year modding hiatus) to pick it up again (and hey, who knows, maybe Bioware would notice someday and lightning would strike twice - Mjolnir needs a Threadripper upgrade!). I played through expecting to find another few dozen bugs. I wound up finding and fixing about 720 more (not all that dissimilar to my PS: T experience, actually). Actually, I found about 2/3 of those, and some really helpful Nexus posters pointed out the rest to me on that very same thread where people were asking about version 2.0 that got 3.0 rolling, and which grew to be a monstrous 122-page thread before it got locked once 3.0 released. I credit them in my Readme, they were exceedingly helpful and kind and kept me going through the 7-month initial development of 3.0. <br />QUASIPC (Qwinn's Unified Automated Self Installing Patch Compendium) is your most well-received creation. It features a massive collection of patches for Skyrim Special Edition mods. How do you keep such a large collection organised and up to date? <br /><br />So the only thing left for me to do in a "fixpack" vein was to fix bugs caused by the interaction of other mods. * In a way I consider QUASIPC to be my "Ultimate Fixpack" for SSE, the main difference being that I fix the modded game rather than the vanilla game. * I will create small mods here and there that actually change things (like my QUARK mod, restoring visible amulets for use with armour mods), but squashing bugs wherever they can be found is always my first love as a programmer, and compatibility patches are close enough to bugfixes (even if not the fault of either mod author) to keep me happy. * What makes this harder to maintain than a standard fixpack, of course, is that unlike a fixpack for a game that's had all the official patches it's ever going to, 50 base mods being updated provides one hell of a moving target. * Still, that's true for everyone who mods, I just share my work so it doesn't have to be done individually by the tens of thousands of folks using the same updated mods. <br />Are there any tips and tricks you’d like to share for users looking to create mods like yours? <br />Just one, and it comes with a bit of interesting background... one of the things I'm most proud of is that I was the first to release and popularize the use of ESPFE plugins for Skyrim Special Edition (they had been used by Fallout 4 modders previously, but not a lot, and not at all for SSE). An ESPFE is my term for "ESL flagged ESPs", and they go a long way toward defeating the very restrictive 255 plugin limit that SSE previously suffered from. <br /><br />Now here's my tip for modders:* Not all ESP's containing new records can be converted to ESPFE's easily. If any of the new records in your plugin has a formID numbered greater than xx000FFF, you need to run a process called "Compacting FormIDs" on the plugin first. You can't compact a plugin's formIDs and then update that plugin in an ongoing save game without breaking it horribly. So, if you are going to release a new mod that contains at least 1 but less than 2048 new records (overrides don't count), and you want your mod to have the WONDERFUL virtue of not using up a full plugin slot, make sure you compact those formIDs *BEFORE* you do your initial release. After that initial release, you won't be able to do it without breaking your mod in the save games of everyone who downloaded your mod previously. Initial mod release to the public = point of no return. There is really no other circumstance where compacting formIDs is worth doing, and that applies to both mod users and mod creators. That is all. <br />Which modders do you admire in the community? <br />Quite a few. ElminsterAU (creator of xEdit) does amazing work, as do the entire MO2 team. I trust their development versions more than I do most authors' full releases. Modders who can actually decompile game engines and work them in Assembler impress the hell out of me (such as a gent named Scient that contributed some engine fixes to my PS:T Fixpack long ago, and Nuukem and aers who do the same with the SSE Engine Fixes and SSE Creation Kit Fixes mods.). RoyBatterian has done it for the GECK too and is pretty much the ModGod of Fallout 3 and New Vegas, period. *Dracomies deserves the title Slayer of the Uncanny Valley for making thousands of NPCs look less creepy and weird in practically every game I want to play. And Arthmoor, of course, as one of the few (if not only) modders I am aware of who have ever created a larger Fixpack than the two I made, and I appreciate his devotion to keeping it as tweak-free as I do my own fixpacks. There are quite a few others I respect, but those are the big ones. <br /><br />Is there anything else you’d like to say to the Nexus Mods community? <br />Thank you! The reception to my mods has been pretty uniformly positive, and lots of people have gone out of their way to give very kind thanks, and those and the stray donation here and there make it all worthwhile (not so much the money, I get maybe one small donation per 2000 unique downloads, it doesn't amount to much, but the voluntary expression of gratitude and appreciation they demonstrate is priceless). Oh, and let me thank Nexus Mods for the new Donation Point system. It doesn't (and can't) amount to much as far as compensation compared to time put in either, but it does show respect by a content host towards the content creators, and that is rare in this crazy online world and more appreciated than you know.